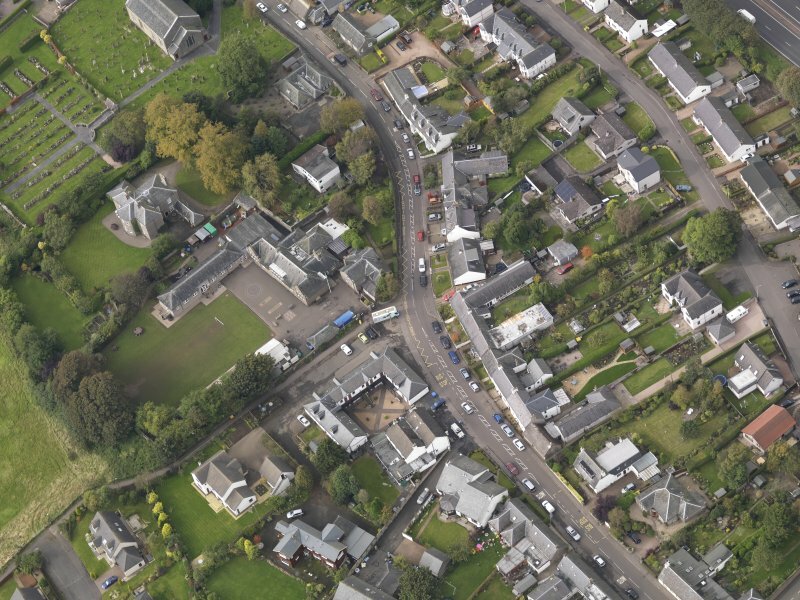 Oblique aerial view of Longforgan Main Street, taken from the SE. The cross was removed from the centre of Longforgan (see OS 25") to its present position about 1790. It is a plain circular pillar about 20ft high, surmounted by a lion. Its date is unknown. The cross is identical to that at Glamis, which dates from the latter part of the 17th century. As described above. The precise original site of the cross could not be established. This cross was re-erected in Longforgan Main Street at NO 3108 3000 in 1989. Information from Historic Scotland May 1993.